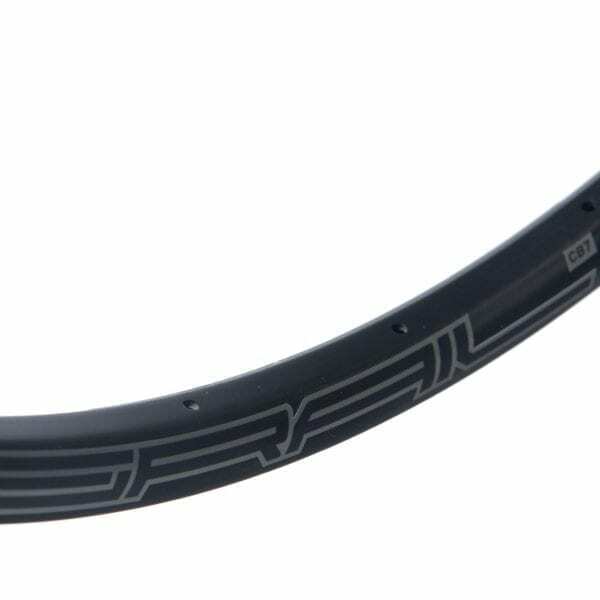 The Stans Grail CB7 Carbon rim is an ultralight tubeless only road or gravel rim designed for low pressures and high comfort. 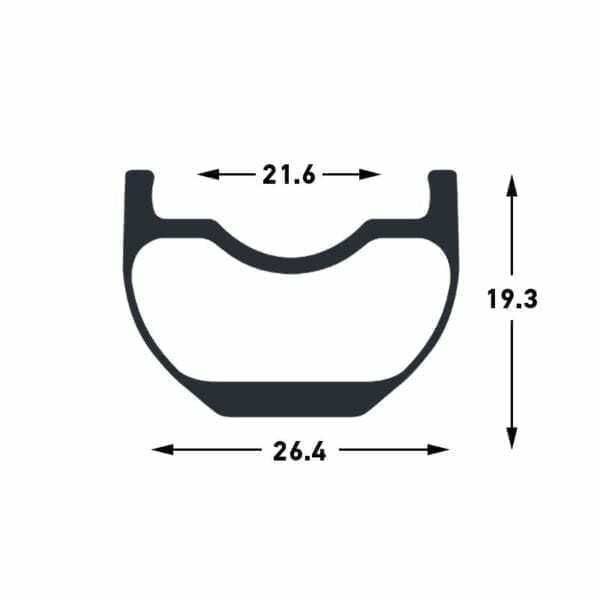 With an external width of 26.4mm and 21.6mm internal width to the bead, the shallow profile builds a very compliant wheel which absorbs vibration and impact exceptionally well. With a rim weight of only 300g per rim it is possible to build an incredibly light wheelset, better suited to light riders who are prioritising all-day comfort. 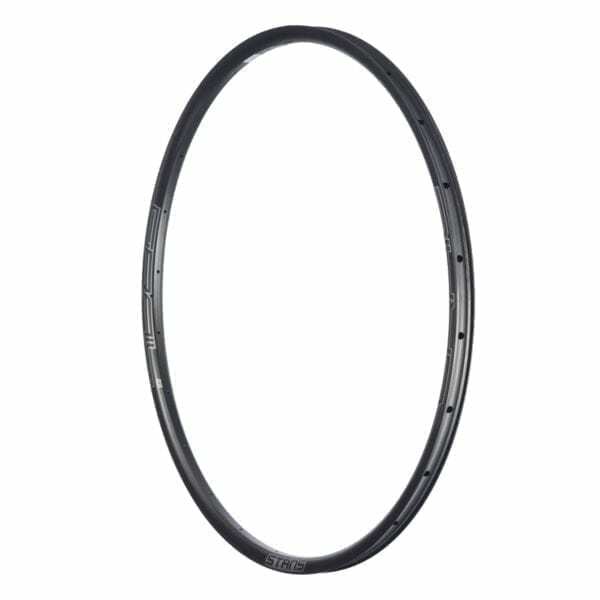 The Stans Grail CB7 rim is optimised for 28-40c road and gravel tyres with a maximum pressure rating of 85Psi in a 28c tyre. Matt black finish with silver Stans decals which can be removed if necessary. 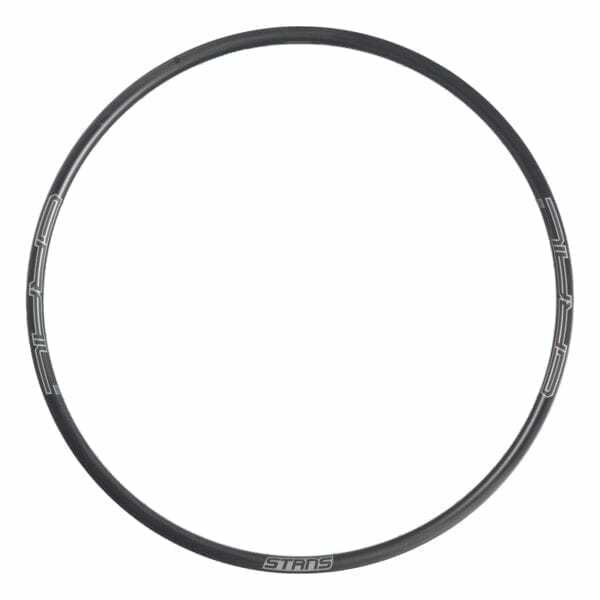 Riders looking for a stiffer carbon road/gravel rim should consider the Pacenti Forza-C Carbon Rim. 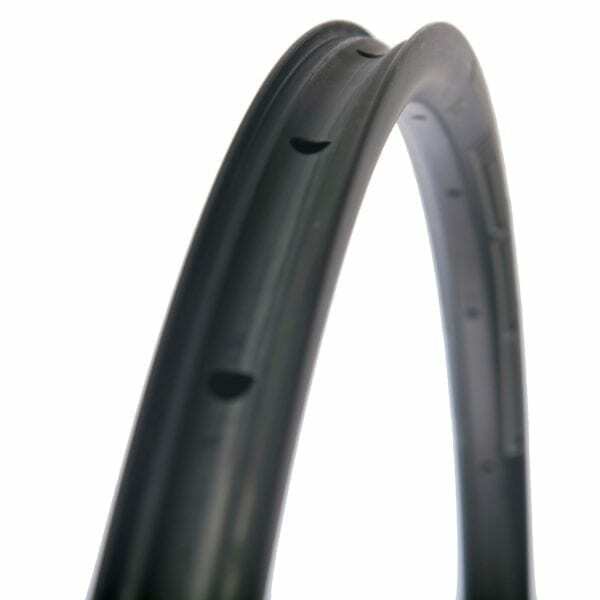 Choosing the right rim with the correct spoke count is critical in ensuring your wheels will perform as you expect, for as long as you need them to. If you are unsure about rim selection, or have any questions at all regarding the suitability of rims, get in touch via the Contact page immediately.